Retirement has two sides to it, although we normally only talk about one. We all think of being financially independent and able to do whatever our hearts and minds desire, but buried under the pile of dreams lies the spectre of longevity and "what would happen to me if I outlive my money" or "lose my standard of living due to inflation outstripping my income growth" or "have medical problems which impact heavily on my mobility and my financial status in life?" How can I address these problems in practical terms? Because I don't have a crystal ball, I cannot try to plan for the unexpected or unknown problems of a medical nature. I can, however increase my disposable income and standard of living very substantially by looking at the benefits of relocation to another country like retirement in South Africa. What are the questions you should be asking in order to assess the viability of retirement South Africa for what could be the most fantastic time of your life? What is the exchange rate applicable between my current location and South Africa? The reality is that the currency of most first world countries offers a multiple income growth to any person moving to South Africa. As examples, the British Pound would multiply your income by approximately 11 to 12 times. A British pension of ± £ 3000 p.m. would show a growth in currency units to somewhere between R 30 000 to R 35 000 p.m. If my retirement income were in AU$ of say AU$ 3500, my Rand unit equivalent would be ± R 25 000 p.m.
What is the average household income necessary to enable a retiree to live with dignity in South Africa? The existence level (way below dignity) can possibly be looked at by seeing what Governmental Grant is paid to seniors R1200 p.m. If I assume that a retirement with dignity requires at least 5 times this income as a minimum (R6 000 p.m.), then a Euro based pension of Euro 4000 p.m. would be equivalent to ± R 40 000 p.m. This is sufficient to live a relatively luxurious lifestyle. Governmental infrastructure levels can normally be measured by looking at the banking system in a country. In South Africa the banking system is on a par with almost any in the world and is better than a substantial number of countries. Medical costs and services within the private sector are extremely good, but they are expensive. If you are suffering from chronic ailments that are likely to get worse over time, you may wish to cost medical facilities by comparison with you current situation carefully before making a decision. Housing is the next item to be looked at. Retirement Villages in the RSA offer various choices for the purchase of one's own two bed roomed unit for amounts varying from around R 850 000 to possibly R4,000,000, depending on what kind of ownership choice is selected. There is however normally the assurance of a fully equipped medical facility and total infrastructure that will cater for most eventualities. Looking at the website www.seniorservice.co.za will give an idea of what is available. Security is a question on everyone’s lips, and it would be naive to say that there is no problem, but then this is true all over the world. With capital and / or income stream at one's disposal, all undesirable areas can be avoided and one can buy according to one's own requirements, without buying in places which are best avoided. This is a universal reality worldwide. Communication ability is of course an imperative in my arsenal and with English I can do almost anything in South Africa - read, write, converse and not get lost. 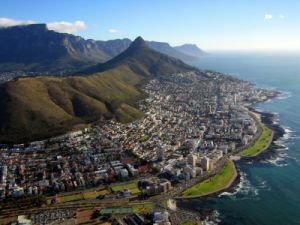 In short, there are very few countries that can offer anywhere close to the climate, infrastructure, living style and financial leverage that are available to retirees when considering retirement South Africa. Don't give up your passport and citizenship, just allow yourself to consider actually realising that dream you have always had - you deserve it. Where, in your opinion, are the Best Places to Retire? Have you realized your retirement dream?